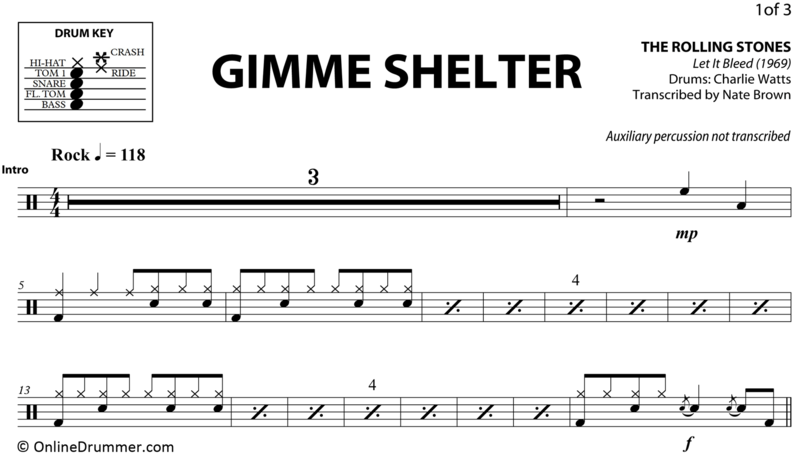 The full drum sheet music for “Gimme Shelter” by The Rolling Stones from the album Let It Bleed (1969). 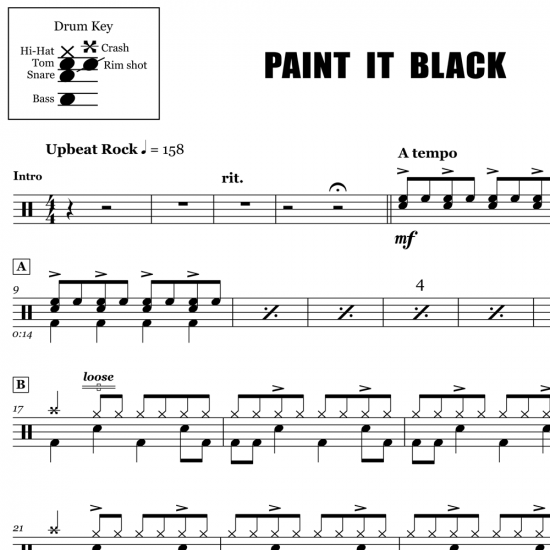 Charlie Watts’ drum track features steady grooves and powerful fills. 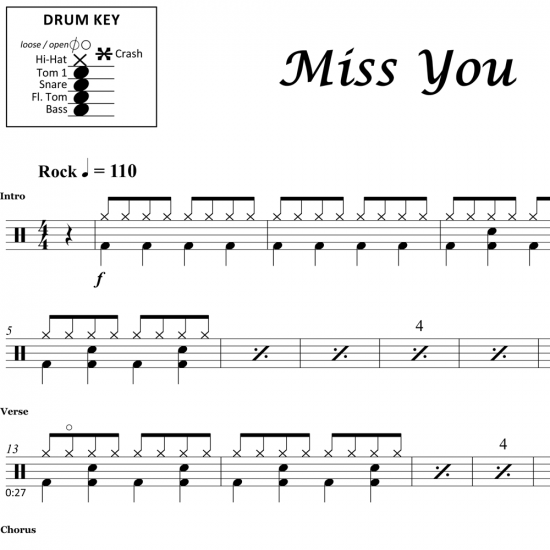 The intricacies of his playing get washed out of the final mix, but using the isolated drum master track, we brought them back to life in this sheet music. 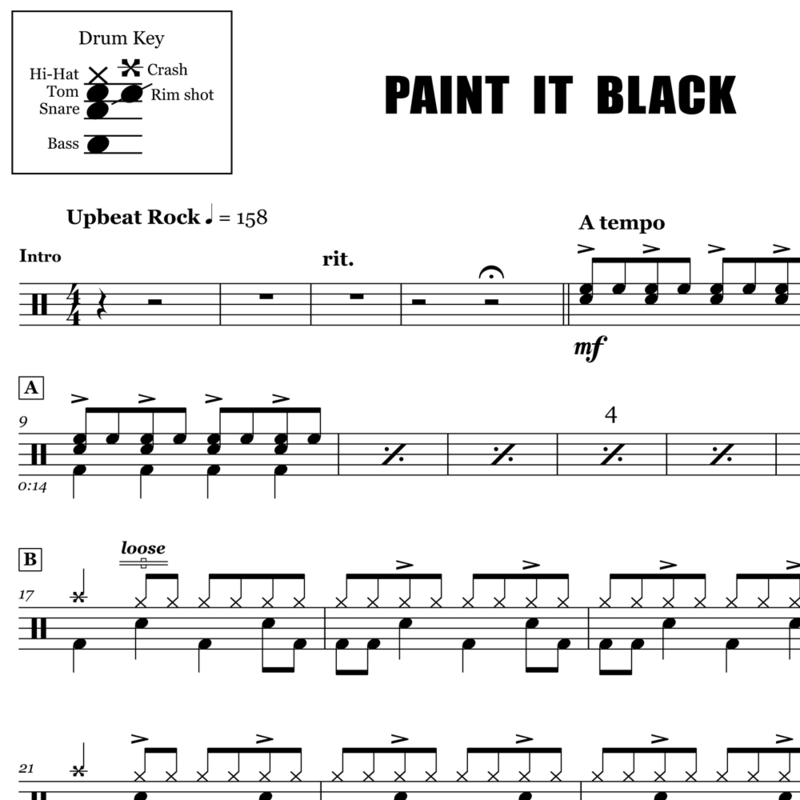 The full drum sheet music for "Paint It Black" by The Rolling Stones from the album Aftermath (1966). 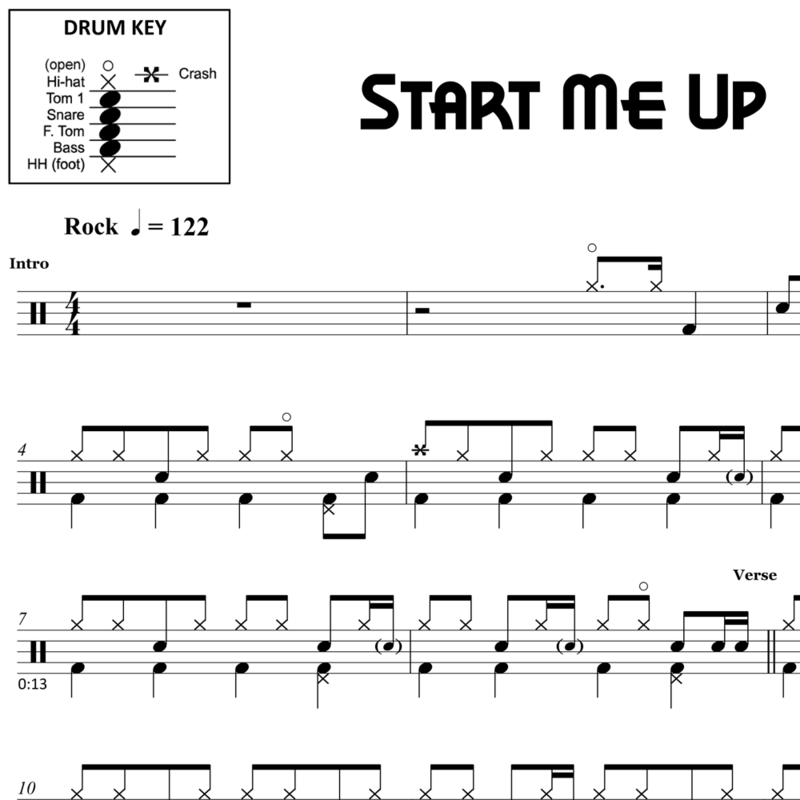 The full drum sheet music for "Start Me Up" by The Rolling Stones from the album Tattoo You (1981).